Learn about Paul Walker's cause of death and official autopsy report. The sudden demise of Paul Walker, the veritable face of the Fast & Furious movie franchise, came as a shock to both Hollywood and to the world. Thousands of fans from around the world paid their tribute to the beloved actor, who lost his life in an unfortunate car crash. Family, friends and fans gathered at the crash site and paid tribute to Walker and his friend Roger Rodas, who also lost his life in the auto accident. This article provides information about the incident, as well as information on Paul Walker’s cause of death and autopsy report. The shocking incident occurred on November 30, 2013. Paul Walker was accompanied by his friend Roger Rodas, a former professional race car driver who was working as a financial adviser to Reach Out Worldwide, a charity headed by Walker. At about 3:30 pm PST on the ill-fated day, the two were driving to the charity event dedicated to Typhoon Haiyan victims in Rodas’ 2005 Porsche Carrera GT. While the specific circumstances of the accident are unknown, it has been established that the crash occurred on Hercules Street, where the red Porsche slammed into a tree and a light pole. The accident occurred very close to the Kelly Johnson Parkway in Santa Clarita’s Valencia locality. Speed is being considered a major factor in the accident, as the area was a 45 mph speed zone. The authorities believe that the vehicle was speeding at over 90 mph in the zone, leading to uncontrollable situations during the crash. The curve on the road where the red Porsche crashed is also known as a popular spot among car drifting enthusiasts. The authorities also considered the possibility of a drag race on the road, but were unable to find a second associated vehicle. The family of Paul Walker claimed that the road reflectors could also have been a contributing factor to the crash. The possibility that the Porsche Carrera lost control after it hit the road reflectors at high speeds was also explored during the accident investigation. Soon after the accident occurred, the Porsche caught fire and burst into flames. Rodas was determined to be the driver, while Walker was in the passenger seat. After a quick response, both passengers were declared dead by the LA County Sherriff’s Department. According to reports from the LA County Coroner, Paul Walker’s cause of death was listed as combined injuries resulted from thermal exposure and traumatic impact. View a copy of the autopsy report on Autopsyfiles.org. Rodas on the other hand was diagnosed with multiple traumatic injuries and died fairly quickly after the crash. While the car wreckage was being towed away from the site, it was found that parts of the vehicle were missing. Soon after, authorities arrested two men for stealing parts from the scene and charged them with grand theft. 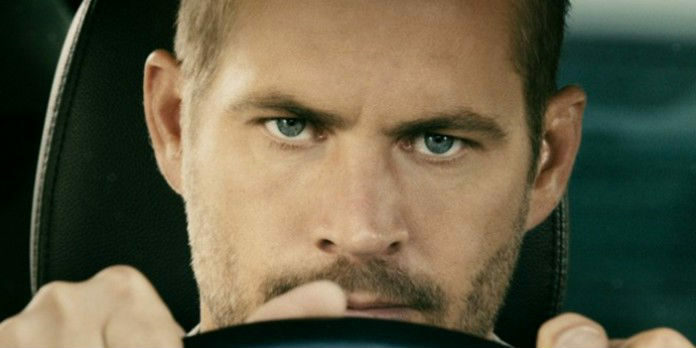 The crew for the seventh installment of Fast & Furious was still filming when the harrowing incident occurred. At this time, the future of the film is unclear and Universal Studios declared an indefinite hiatus on its production. The studio and the crew is hoping to speak to Walker’s family before continuing. They have already consulted Cody Walker, Paul’s brother, asking him to possibly to stand-in. Paul Walker was finally buried at Forest Lawn Memorial Park, two weeks after the incident in a somber non-denominational ceremony. If you have any questions about Paul Walker’s cause of death, please leave a message below. Get the scoop on more celebrity drama. Check out more Celebrity Investigations.